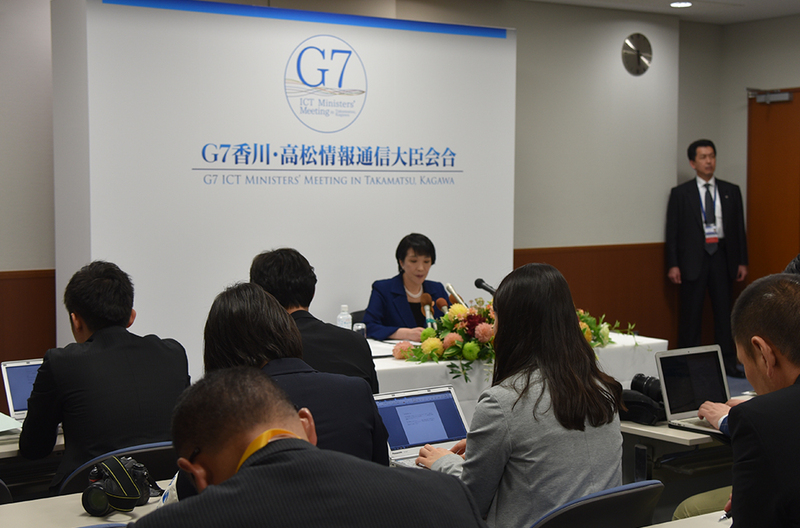 At the opening of the Ministers' Meeting, Mako Ishimaru delivered a report on the G7 Student ICT Summit and handed over a set of recommendations to Minister Sanae Takaichi, Chair of the Meeting. 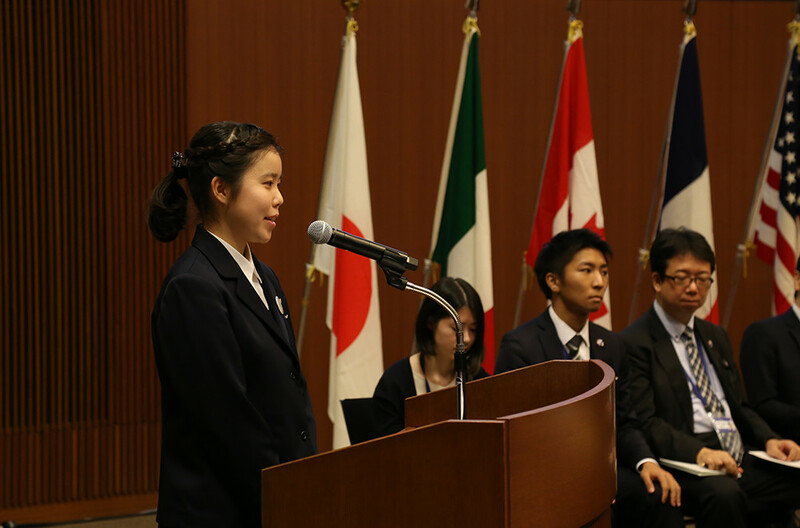 Ms. Ishimaru is a third-year student at Kagawa Prefectural Takamatsu High School who participated as the representative of Japan in the G7 Student ICT Summit organized in December 2015. Reporting the outcomes from the ICT Multi-stakeholders' Meeting held on the 29th. This photo is of Keio University Professor Jun Murai, who served as moderator. 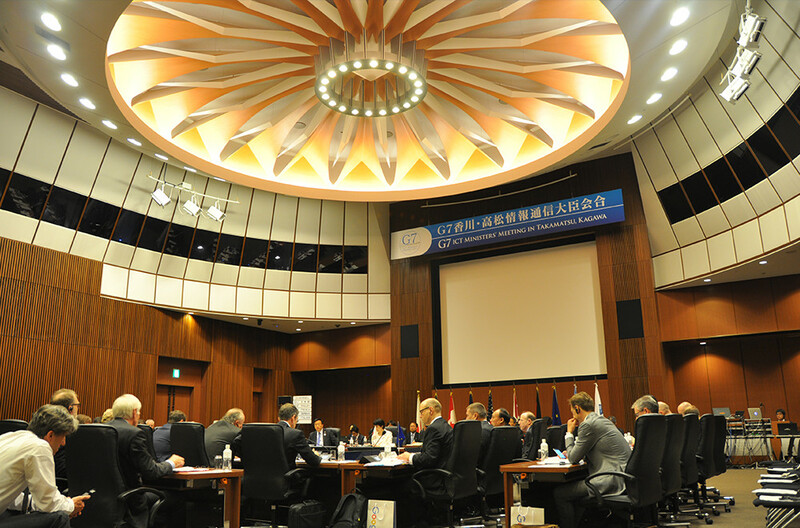 Panoramic view of the G7 ICT Ministers' Meeting in Takamatsu, Kagawa. 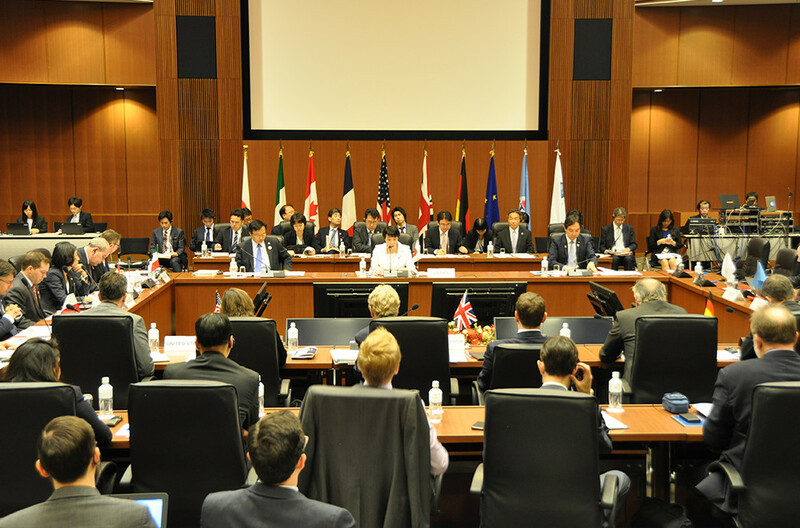 Minister Sanae Takaichi, Chair of the Meeting, is seated in the center of the photo. The open-air structure and orderly color tone of the foyer in Kagawa International Hall expresses a sense of openness. 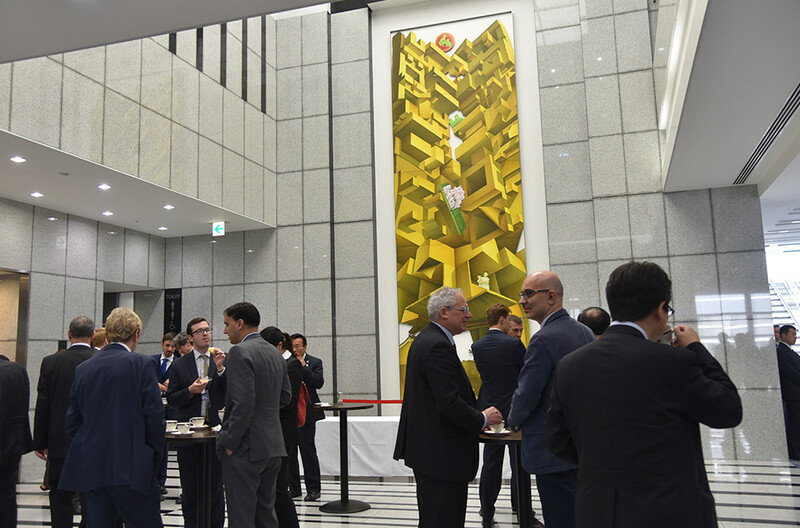 Coffee break after the first day session at the G7 ICT Ministers' Meeting in Takamatsu, Kagawa. 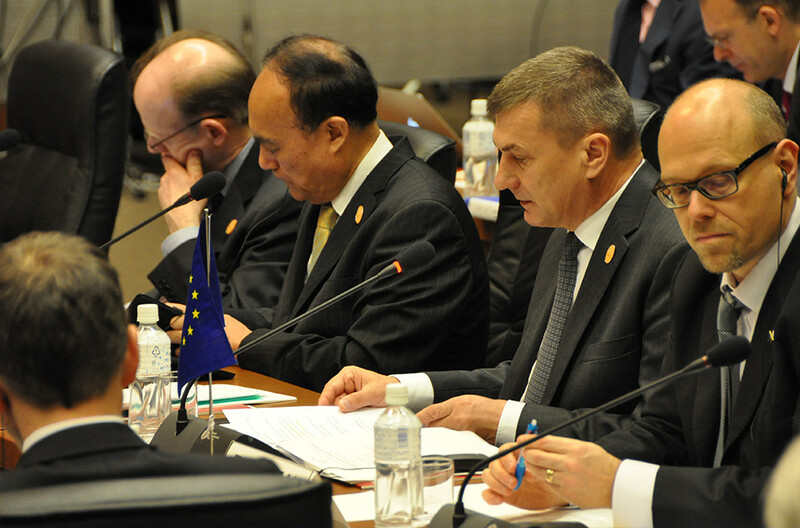 Press conference after the end of the first day of the Ministers' Meeting. Sanae Takaichi, Minister of Internal Affairs and Communications, reports on the meeting, with Q&A from each of the journalists. Bilateral discussions held by the representatives of national governments and organizations in between meetings and events. 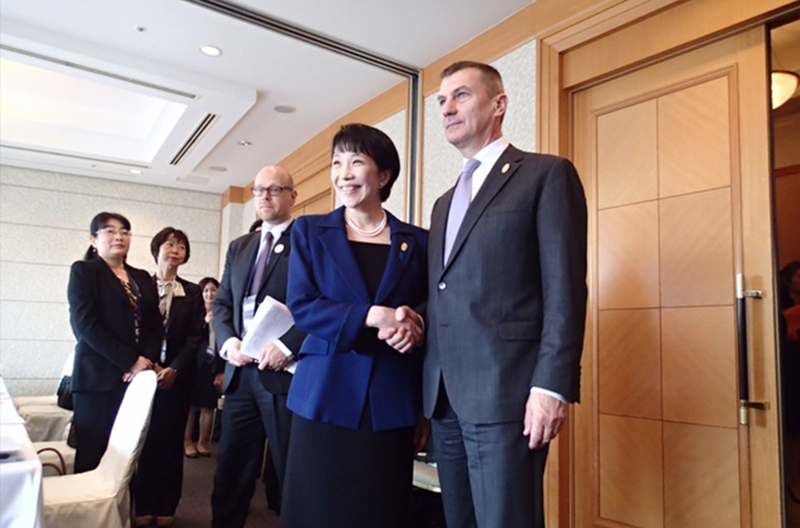 The EU's Andrus ANSIP, Vice President of the European Commission, shakes hands with Sanae Takaichi, Minister of Internal Affairs and Communications. Scenes from the joint press conference after the Ministers' Meeting. 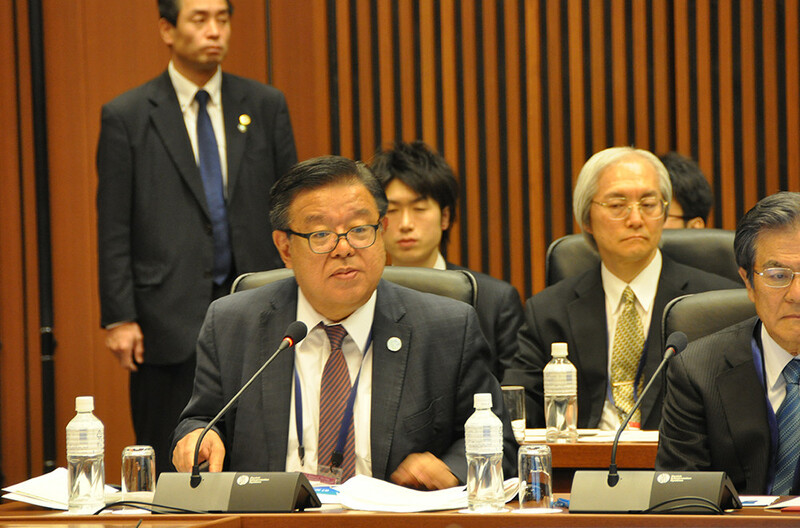 A "charter" and "joint declaration" that summarize the basic philosophy and principles were adopted as the outcomes of the two days of discussion. 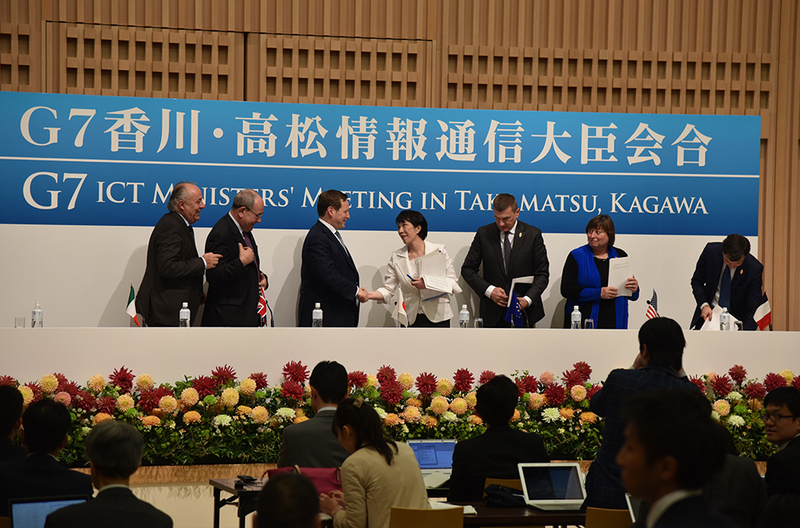 National representatives, including Sanae Takaichi, Minister of Internal Affairs and Communications, smile after the conclusion of the Minister's Meeting.